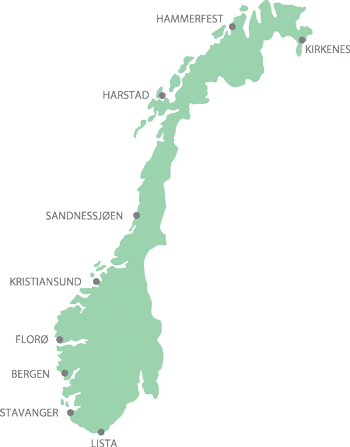 Our main office is established in Kristiansund, at the offshore supply base Vestbase in Mid-Norway. 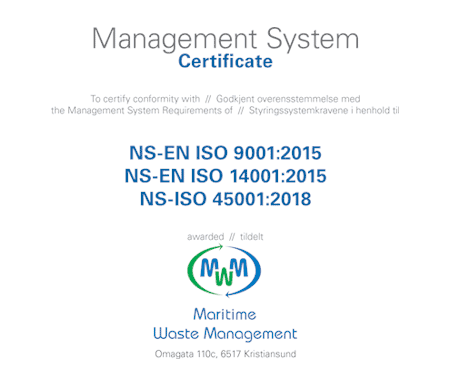 The company management holds a long record within the waste management area. 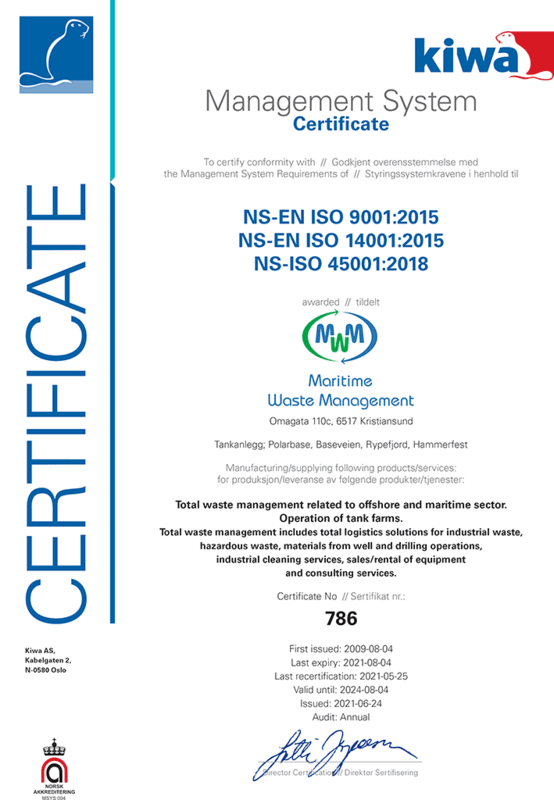 We have been involved in the process of introducing segregation of waste in the Oil & Gas industry and have been one of the first waste companies to implement Total Waste Management (TWM) in the North Sea basin. For orders, use: Denne e-postadressen er beskyttet mot programmer som samler e-postadresser. Du må aktivere javaskript for å kunne se den.